One neutron had popped out. leaving an atom of meitnerium-278. leaving an atom of bohrium-274. leaving an atom of dubnium-270. by the power of a wish. could be made with a wish. raising his index finger . . .
and trains will run on time. will not be too expensive. will render harmful substances harmless. or anything that annoys you. that only tiny things will annoy you. will also do you good. 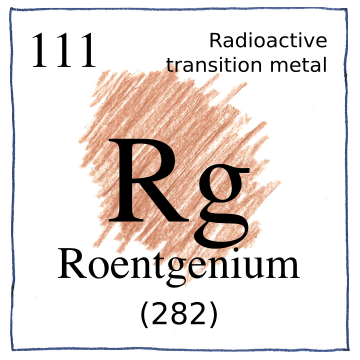 Roentgenium is the fifth transuranium element first synthesized by scientists working in Darmstadt, Germany, at Gesellschaft für Schwerionenforschung, known today in English as the GSI Helmholtz Centre for Heavy Ion Research. After this, the team synthesized element 112, copernicum.